What to do on the day of the exam? The Kishore Vaigyanik Protsahan Yojana exam identifies and encourages talent and motivates students to pursue career in research. Students across the country are gearing up to give their best in the exam as KVPY is the most coveted scholarship-fellowship programs in basic sciences started by DST (Department of Science and Technology, Government of India). The KVPY exam sets itself apart from the other engineering and MBBS exams as it largely focuses on multi concept implementation in each question. Below are a few things you need to keep in mind. 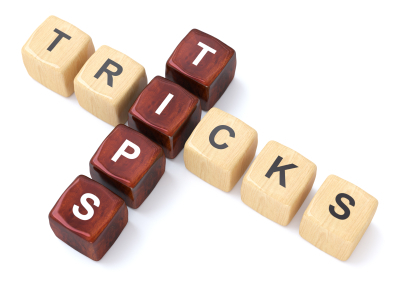 These are certain KVPY tips that will help you get the edge over other students. If you are preparing for JEE or NEET (AIPMT) exam, the syllabus is almost the same. Hence, both the preparations can go side by side without affecting each other. Cracking KVPY questions will be easy for youif you have studied NCERT and other study materials thoroughly. In the last few days near the exam, do not pick up any new topic, particularly something that is tough and you have not touched so far. This will only confuse you and you may forget other things that you already know. In case there is a topic that you have tried to grasp for a long time but you still feel you are not confident enough in it, give it one last shot. Be calm when you study such a topic and maybe you will finally grasp it. However, do not get worked up over it at all. In the last few days, revise the concepts. Go through your notes copy where you have noted down the important formulae and theorems and key terms. Try not to pick the big fat books. It is very important that you take KVPY Mock Tests. Give the mock tests as if you were taking the final exam so that you prepare yourself to give an exam. Sleep well- This is very crucial. We would advise the parents and guardians to ensure that the student takes a balanced meal the night before the exam and goes to bed early. Sleeping late and feeling sleepy during exam will ruin everything. Stay calm on the day of the exam. It is normal to get butterflies in the stomach. But one should eat well. Appearing for the exam with an empty stomach may make you dizzy and you will not be able to concentrate on your exam. Have a positive outlook. Tell yourself “I can do it!“. Take your KVPY admit card. Reach the test centre at least half an hour early but do not go too early also. Standing outside the centre can make you feel nervous. Do not talk to too many people before exams. Try to avoid people and their curious questions till before the exam. The examination hall: Look around and be relaxed. Keep your belongings like water bottle, admit card, stationery, etc. in a proper place. In case the hall is not very proper, try to adjust. You can request the invigilator to help you out in cases like less lighting. They can switch on lights, open windows and so on. Fill all the details carefully when you get the paper. Do not hurry yourself up. In the case of (a) and (b), do them in first go.But remember, more than getting an answer, getting it right is important. Also remember, there is negative marking. Once you are done with questions of type (a) and (b), you can attempt questions of type (c). Never use unfair means. Do remember that cheating is never the solution. After the exam, do not stay back to discuss the paper with friends or peers. It is better that you go back and relax. You can gauge your performance with the help of answer keys at a later stage. KVPY- SB: For 1st year Students of B.S./ B. Sc. /M.S. / Integrated M.Sc. For Class XI students, KVPY-SA Exam is held. This is a single paper, which is divided into two parts. Each part contains MCQ from Physics, Maths, Chemistry & Biology. You can find the number of questions and marks in each subject of both parts of KVPY-SA Exam in the table at right. 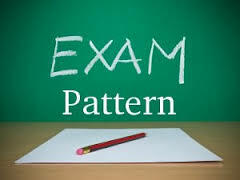 As you can find from this exam pattern that there are a total of 80 questions of 100 marks. Duration of this exam is 3 hours. There is negative marking of 1/4th mark for each wrong answer. There are two parts in KVPY-SX & SB Exam too. But here you have to answer any three subjects in Part-1 and two subjects in Part-2. Thus the total marks are 100 (Part-1: 3×20 + Part-2: 2×20). Duration is 3 hours. Changes in DASA from 2021-22 intake: What you need to know!